Happy Birthday! – Who Are You? JustaBXgirl: “Well, (insert friend’s name) said he/she wants a (insert toy/game costing over $75). We bought a lot of slime last year. This year, we’re already doing a bit better. I decided that some of you might have similar conversations. I wanted to share some of the recent items I’ve found that we will be gifting to her friends this year. Any2CanBe TwinDollicious & Co Charm Bracelet – This isn’t a gift for just anyone. We sent one of these to JustaBXgirl’s school BFF and kept the matching one for her. It’s a beautiful way for the girls to stay bonded over time. I can say, and I’ve already admitted this on IG that I had hoped JustaBXgirl would have chosen me to share the bracelet with. 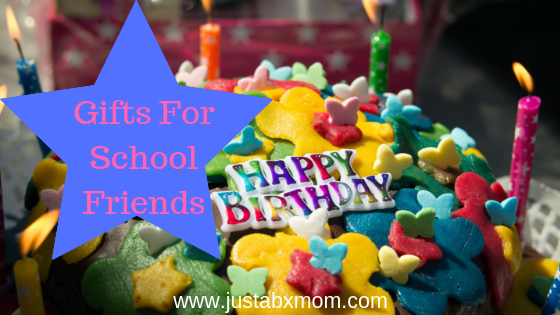 If your little has a special friend who has a birthday coming up this is an awesome option. Mad Mattr Play and Build Set– These bricks won’t hurt when they get stepped on! JustaBXgirl can play with this for HOURS. The Mad Mattr works for all types of children and is easy to clean up so those parents you don’t know won’t hate you. There are a few colors and sizes to choose from and if you’re feeling really generous you can throw in a storage tub. We use a small plastic storage container from our local discount store for ours. Zoom Tubes Car Trax – These are so cool. They’re perfect for car lovers and future engineers. You can build out these tracks with expansion sets and trust me once you get this for a little they will be wanting to add-on more. I also love that it keeps the racing self-contained so you don’t have to worry about walking into the middle of some speed racers. Selma’s Dolls– I want each of these dolls. The one pictured is Lola and she is from Mexico. These beautiful rag dolls were created to teach our littles about diversity and acceptance. There are two others, Annie and Ameena to collect. Each doll comes with the storybook, The First Day Of School. And they are all washable. All Styles – JustaBXgirl loved to bust a move. A lot of her little friends do too. All Styles is a fun family friendly movie. I think any little dancers would enjoy watching the dance routines featured. I appreciate that this movie showcases a number of different dance styles and shows how they can all work together. Best of Daniel Tiger’s Neighborhood Family Fun Collection – Daniel Tiger is awesome for teaching life lessons. Seriously, I feel like as an adult I use some of Daniel’s songs to help me through life daily. Chances are it has some of your (I mean, your littles’) favorite Daniel Tiger moments which means, it will also have some of their friend’s favorite moments.